You dig into your pocket, clasp your last cherished penny between your fingers and toss it into the well below you with one final wish: optimal sound quality control. Don’t wait for a shooting star to pass outside your window to fulfill your recording studio needs. You won’t need to wish for an endless pile of money, either. Cranking up the volume shouldn’t require dropping a pretty penny. Our Class A™ bass wedge studio foam is crafted to strengthen your room’s sound quality without weakening your finances. Their unique architectural design provides addition aesthetic wherever soundproofing is necessary. Our Udderly Quiet™ Class A Bass Wedges are designed from high-quality professionally engineered pieces of melamine foam. Their durable exterior signifies a shield of protection that protects the product against rip, tears and dents during the entire existence of use. Simply mount our class A bass wedge studio foam pieces vertically, horizontally or on any level that best suits your needs. Our fire rated bass wedge foam provides extra protection with low frequencies difficult to attend to. This added level of protection results in a noticeably altered overall noise experience by dodging unwanted resonances and noises from entering your studio. 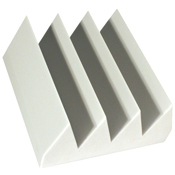 Wedge foam provides an affordable way to help perfect the acoustic qualities of whichever room they encompass. As with our other line of Class A products, our A Bass Wedge studio foam boasts ultimate fire protection by scoring the optimal class rating against flame resistance. 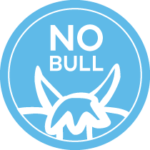 Whether they’re placed in crowded spaces or rooms that reach higher-than-average temperatures, they’re guaranteed to perform with the added protection and assurance of fire protection. They’re also specifically engineered to improve the acoustic quality of rooms with poor and lower levels of frequency. 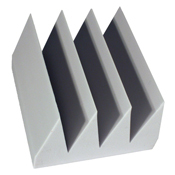 Our wedge foam absorbs low frequency noise to provide maximum soundproofing qualities. You’ll only find our Udderly Quiet Class A Bass Wedge foam exclusively on our website — which is great for you. By cutting out the middleman, we’re proudly able to provide you with the various soundproofing materials you need at one low cost. Our fire-rated bass wedge studio foam provides the ease-of-access that makes it ideal for even the simplest DIY project. That means our foam isn’t meant for just profession studios, but the average room suffering from low frequency echo issues, as well. 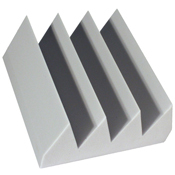 Due to its superior level of heat resistance, our Udderly Quiet Class A Bass Wedge is suitable for even the hottest of environments reaching 482º F. Bass wedge foam pieces are the favored choice of theatres, recording and broadcasting studios, anechoic chambers, product testing environments and more. Browse our online catalog to learn more about each of our products.